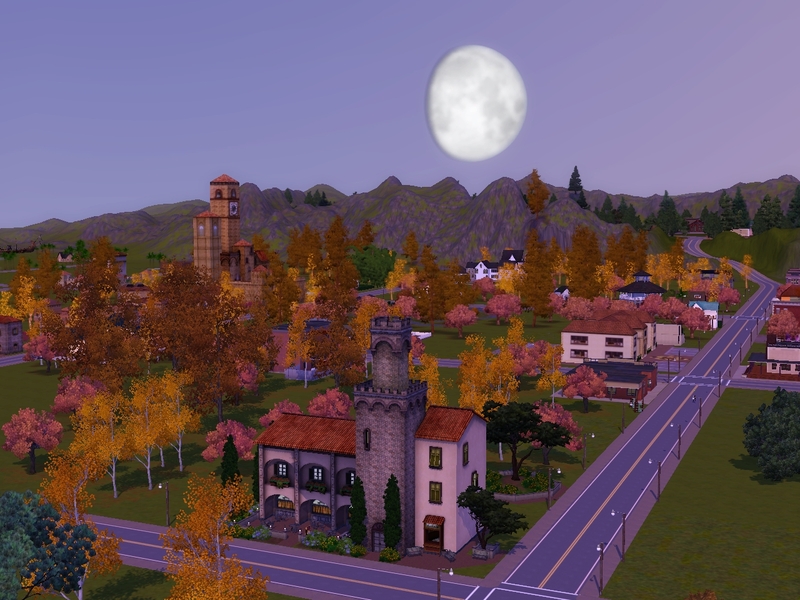 Over the past few weeks I’ve created about 10 worlds for The Sims 3. We both, Lee and I, are hooked on the game. He’s mostly playing it while I’m creating the world so he can test them later (of course together with me). I’ve been out of gaming for a long time and didn’t even use the computer that much anymore over the last 2 years. Other things were more important to fill my time. On top of that I have so many hobbies which all require time and there’s only 24 hours in a day. So after my knitting, crocheting, cooking, fish tanks, drawing and colouring, now I’m back at my PC to fill my hours. Most of it is designing a world which is pleasing for the eye (after mastering the tool to do this) but a lot of times it also requires good planning and problem solving. You can not always have the things you want so how to do it in a way that comes closest to what you had in mind. On top of that, we also had a day that the saved games from the world I had built, did not want to load. It took a lot of puzzling and testing before we figured out that the naming of the world file in the end was the cause of it. Not something you’d come up with easily. However, I feel that I’m close to the end of creating worlds now. You can only make that many. Still need to play with them too and with that, Lee already stormed ahead of me. He’s now a wizard of knowledge sims-wise, while I know how to build his world but not that much what’s going on in it. Time for me to join him with playing (after I’ve finished the last one I’m working on). I’m also longing to do some drawing again as it’s been about 2 months now since I’ve last touched my pencils. Well, I have touched them but never got around to do anything with them and that needs to change. Also applying for a job is still a major thing I’m working on. Unfortunately up to now I only get rejections to my application. I think they prefer younger people for the job but we’ll keep our head high and don’t give in on these depressing thoughts. Be careful if you want to try it out, it’s extremely addictive. This entry was posted in Hobby, What's happening and tagged Sims. Bookmark the permalink.